There are tools involved in the learning and mastery of every trade, and culinary arts is no different. Below, we have compiled a list of the 5 must have tools for every Culinary Arts student. If you are interested in pursuing a career in Culinary Arts, then you should take a look. The Culinary Arts program at Dorsey Schools aims to prepare students to work in professional food serving facilities. Education takes place in both kitchen and classroom settings to provide students with the opportunity to participate in hands-on learning. Students within this program will have the opportunity to learn fundamental skills such as proper sanitation, knife cuts, “mise en place,” cooking techniques, food preparation, food purchasing/specifications, catering and professionalism. They will also be exposed to various aspects of the culinary industry, including baking, butchering, and healthy cooking, nutrition, pricing and kitchen management. Arguably the most versatile knife, chef’s knives can be used for most kitchen tasks including chopping, slicing, dicing and mincing. Their blades come in lengths of 6, 8, 10, and 12 inches. Longer blades can be more difficult to control, but make for faster cuts. Shorter blades allow for greater control. A boning knife is used to remove meat and poultry from the bone. Its narrow bladed tip is curved and flexible to allow for greater precision. 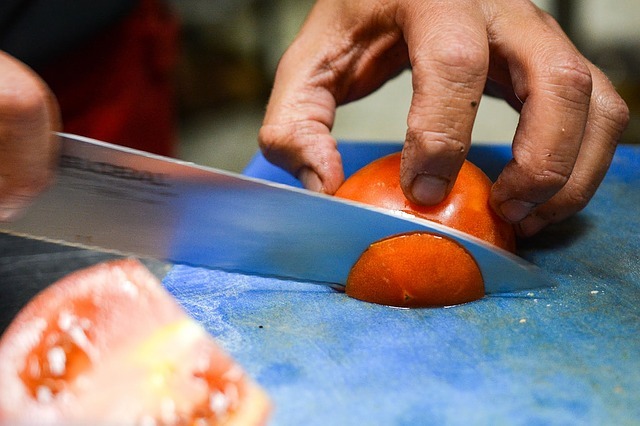 A paring knife is used for intricate work and to complete smaller precision tasks like peeling, trimming and slicing small fruits and vegetables. They usually have a thin 3 to 4 inch blade that tapers to a point which allows for greater control than a larger knife. Slicing knives are used to slice cooked meats, poultry and fish. It has a long, thin blade which ensures you can cut large pieces of meat into neat, even, thin slices. Honing steel is one of the most important tools to have in the kitchen. It is essential to hone your knives so that they stay sharp longer and last better. The steel smoothes and realigns the worn carbon steel on the blade's edge. Are the Culinary Arts something that interest you? If so, the great news is we offer a Culinary Arts program here, at Dorsey Schools, and even provide our students with all of the must have tools listed above. Previous PostWhat does a Medical Assistant do?